As a value added service, we are out from this year itself in the consultancy arena of admissions to professional/technical colleges and universities, securing placements & jobs and providing internships and hands-on-job trainings. Idea is to reach out to students & their peer groups, guide them in making right informed decisions in many of their critical career related matters: thereby help enroll them in the right College/University among a clutter of confusing choices suitable to their preference and capacities. Our services don’t merely stop here. We then continue our association with you by facilitating your placements and fetching right jobs in the industry. 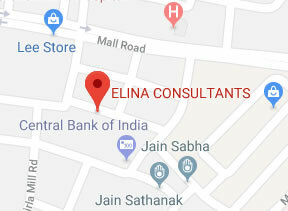 In-house Jobs @ELINA: ELINA consultancy is a spectrum of diverse services that continuously keeps hiring people for our in house employment opportunities. Typically, we require marketing Executives, computer designers, Computer programmers, career instructors, office and field staff. Some roles are open to applicants from any degree background, while others require specific specializations and Qualifications and a few are also open to non-graduates. Make sure you check the training and qualifications required, while searching a job position. To get the latest in-house job news, keep visiting our web site and social media handle at Twitter and Face book. Careers & jobs: Our research teams keep a tab on suitable job opportunities in corporate and Private sector on a regular basis and we filter the best options for you –the job seeker. Recruiters are spread all over the country and they keep posting jobs at different websites and career portals. We aim to collect all this information at process it at one platform here at ELINA. This gives you a single window access to all relevant jobs without hopping from site to site. Just keep hooked to our ELINA website and social media handles. Click the jobs tab and Upload your CV’s . We will keep pushing you most relevant jobs. Paid Industry Internships: Over the years ELINA consultancy has developed a robust interface with a number of key industry players, who remain on a look out for entry level positions and paid interns. We keep getting such offers from our Industry friends on a Priority partner basis. These includes interns & apprentice positions for IT, Healthcare, Education, E-commerce, Services, Marketing & sales and other similar sectors . Most of these offers include a stipend as well. Eventually, these positions are generally regularized into Entry level job positions. Such offers are periodically posted on our official EILINA site and support portals including Social media. Career Consultancy: In an Information clutter, students and parents often get confused and lured with poor career choices. They are not able to make a correct, informed and appropriative choice that best suits the skill set or mental makeup of their ward or child. So a Skill ‘X’ gets a career ‘Y’ choice and lands with a 'Z’ job. This mismatch of Skill, Choice & expected Job is what is responsible for thousands of poor career performances & ultimately no jobs. AT ELINA, we try and solve this puzzle for you. We map your students skill set and mental inclination through a series of structured and scientific measures. Our professionally trained career counselors then go on to carefully study these reports and help you interpret them faithfully. This determines the final set of choices in a chronological order giving you three best choices most suitable to your child or ward that he/she should opt for. Once a choice is made, our mentors and career experts keep a track of their (career) growth trajectory and make all necessary adjustments to put your child on a safe and secure career path.